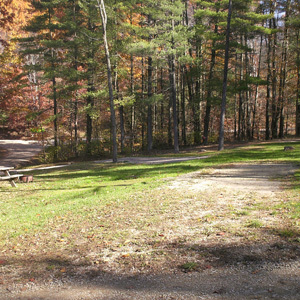 Hillview Acres Campground offers 80 acres, with both shaded and sunny campsites for your RV camping experience. We offer daily, weekly, monthly and seasonal rates. RV - Whether it's a motor home, travel trailer, fifth-wheel, or pop-up, if RV camping is more your style, we have several sites to offer. 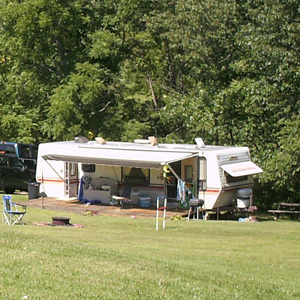 Our RV sites are equipped with 30-amp electric and water hook-up. 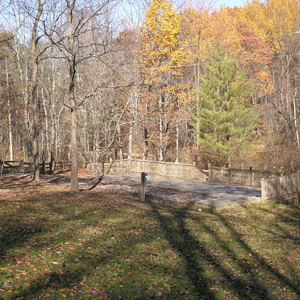 Each site is complete with a campfire ring and picnic table. There is also a dump station available for your convenience. CABIN - Don't have a camper to haul along? 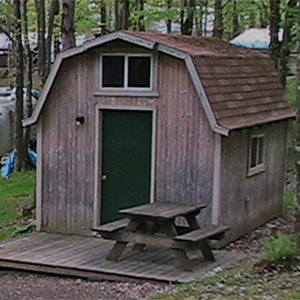 Our quaint cabin offers a full-size bed, a single bed, and a loft, easily accommodating six campers. 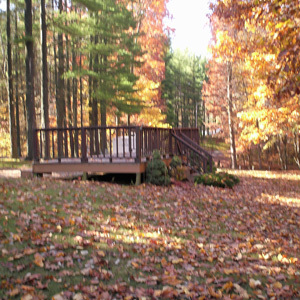 The cabin site is also equipped with a campfire ring and picnic table, so this can feel like your home away from home. SEASONAL - If it's a home away from home you're interested in, there are several seasonal sites available. Each site is unique in its location, amenities, and level of privacy. If you are interested in reserving a seasonal camp site, contact us to find the perfect site for you!